Winslet at premiere weeks after baby Jump to media player Hollywood actress Kate Winslet attended the premiere of her latest film Divergent in Los Angeles on Tuesday night. Winslet joins Hollywood walk of fame Jump to media player Actress Kate Winslet has been honoured with a star on the Hollywood Walk of Fame on Monday, just hours after an earthquake hit the city. Winslet 'absorbed in baby world' Jump to media player Kate Winslet says she had no idea about the awards buzz surrounding her film, Labor Day, because she is "so absorbed in baby world". 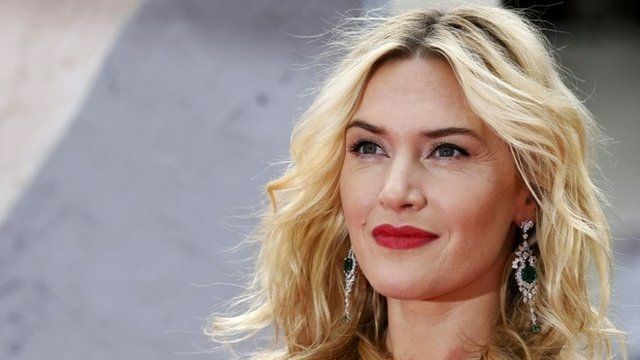 Kate Winslet has said she is happy to have made a movie her children may actually want to watch. The mum of three said her two elder children had only seen half of one of her movies. She was speaking at the European premiere of Divergent, the film adaptation of a bestselling teen thriller. Shailene Woodley, stars alongside Winslet in the film, which is the first of three movies, based on the Divergent trilogy.